I recently had my car (a 2017 Hyundai Tucson) coated with ceramic. I had it done at Technical Details at Marcos Highway, Marikina. What is the reason why I availed such service? It was only after I got the car when I realized that having a black car is both a gift and a curse. Gift in a sense that the color is elegant, timeless and flexible in terms of style. However, black cars are a nightmare to maintain its clean looks. Why? 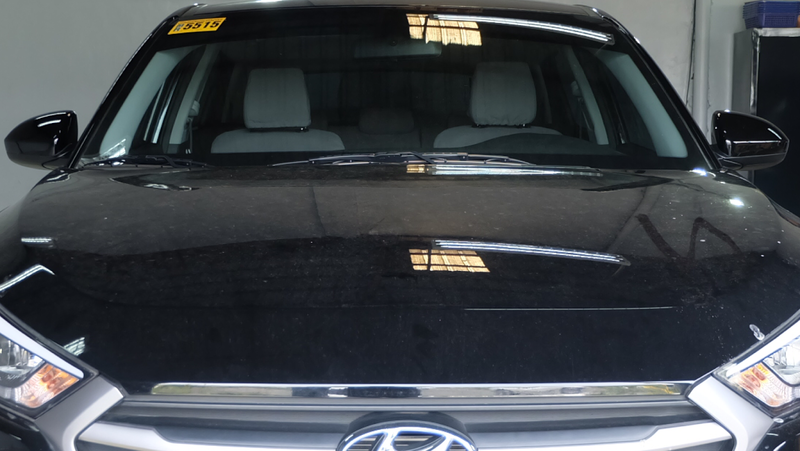 What really triggered me to have it coated very soon is when I had the car washed on a small Car Wash shop at Examiner St, Quezon City, the staff there didn't follow the correct procedure of washing cars, hence getting my car scratched in the hood and right door after drying (wiping of chamois type cloth). Shiny look, which will save me a lot of pesos by not having to wax it often. One must take not that having the car coated doesnt not guarantee watermark-less surface or even scratch free surface. What the coating does is making it harder for watermark to dry up permanently or simple car wash scratches to go deeper on the paint's clear coat. It will also make it easier to remove watermarks by just using a soapy water. 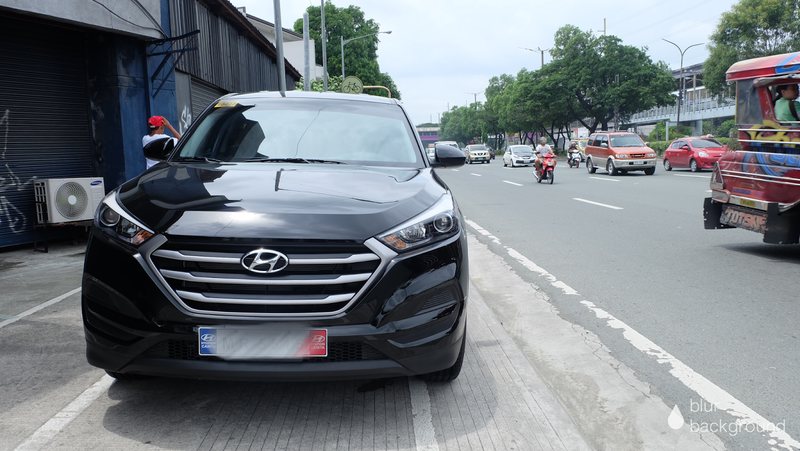 A compact SUV will cost Php 11,000.00 pesos and that already includes the exterior detailing as part of the preparation prior to coating of ceramic. Before deciding with Technical Details, I actually did some research on which vendor provides the best balance of quality and price. I've looked at Big Bert's Detailing, Ceramic Pro, Brila by Gman (If I have plenty of spare money, I'll definitely go for Brila by Gman), Bluemile and more. It's just that Technical Details offers the perfect balance of work quality and cost as per my needs. It also helped that most of their customers were really really happy with the level of workmanship they apply and the great customer satisfaction they received. You can see it from their facebook page reviews. I had my own first-hand experience on how great Ian (the owner of Technical Details) is when it comes to customer service. He explains all the process involved in doing the ceramic coating. The importance of each step and why they use a particular equipment or materials over others and depending on the vehicle being worked on. I had a fair share of problems as well. All is not perfect and I understand that there are unplanned things that can happen to my car like what Ian told me when he called my phone several hours after I left the car at the shop. Some sort of accident happened while they were polishing the grills. The foam or polishing pad took off the buffing machine, thus, the machine scratching my grill. It is the last thing I want to hear when I get a call from the detailing shop where I left the car right? Nonetheless, I'm not mad because what's important to me is that they're very professional in telling me honestly the problem, and what they're willing to offer to compensate for the inconvenience. I'm so surprised as I know how rare this kind of establishments are, and being a person who appreciates this kind of gestures, I also offered my help to solve the problem. To make the long story short, we internally agreed on some arrangements (I will share what I did in a separate post) as the shop is even the one whos very willing to bring it to the best shop that can fix the scratch at no cost to me, plus a hefty discount on the ceramic coating service that I availed. I may not went home as the happiest customer, but atleast I can say I'm one satisfied customer. Bilib ako! Dust will only roll off together with water if you regularly clean your car. If you let the car baked on the sun with dust after it rained rain followed by sunlight again plus a little bit of road or asphalt film (during everyday drive) on your car will lessen the capability of the hydrophobic coating. You still need to wash your car using mittens to completely remove the dust that sticks to the paint. It is true that there is somehow a harder coating on top of the paint when you have your car coated with ceramic. I have a recent incident where in pigeons climb on my car and slide on the window and panels. I was expecting deep scratches already knowing these birds has claws. To my surprise, the car just had some light scratches that I believe can be fixed by detailing. Free auto repair manuals is the best solution for the busy people who do not have any spare of time for the car maintenance. The best part is you do not need to spend anything to get it since it is totally free.